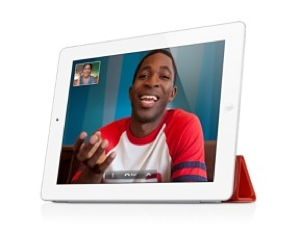 When Apple first launches iPad 2, one would never expect the existence of a case to go with it. Smart Cover, as its name implies, it is ‘smart’ in a few ways. First, it has embedded magnets which will turn on or off magically when you flip open or close the Smart Cover. Build into strips, it also allows you to fold into a supporting stand base. It comes in 2 material built – polyurethane and leather. Personally, I bought the Red limited version which is only available online and at this current stage, it is the only model which ran out of stocks. That said, it has some inherent issues. 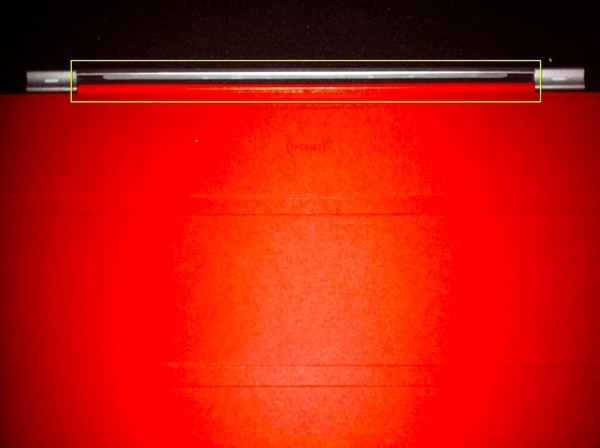 Like the iPad 1 case, it is prone to scratches. The color coating will also come off when I tried to apply some protective leather cream, which I had no issues with my other leather products. It is priced at US$69 for the Smart Cover leather version and is worth every cents for its innovative design & ergonomics as a stand. Yet, the price is considered steep in view of its built quality. But at least now its much better than iPad 1 case which readily attracts dust and fingerprints. 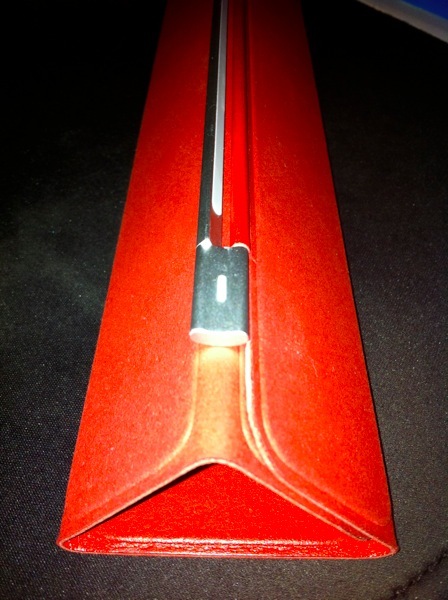 Observed the magnetic hinge which will snap on the iPad 2 metal body without much hassle of alignment. 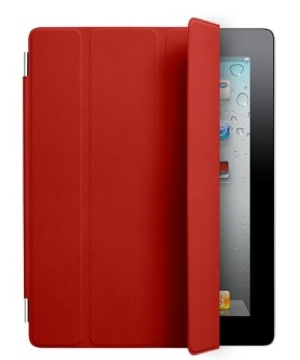 Padded bone also helps to prevent any scratches on your precious iPad 2 body. But with the limited variety of iPad 2 cases, this may just be the best case out in the market.